We are located in downtown Danville, Kentucky and provide both general and cosmetic dentistry. We are a family friendly dental practice that treats patients of all ages. 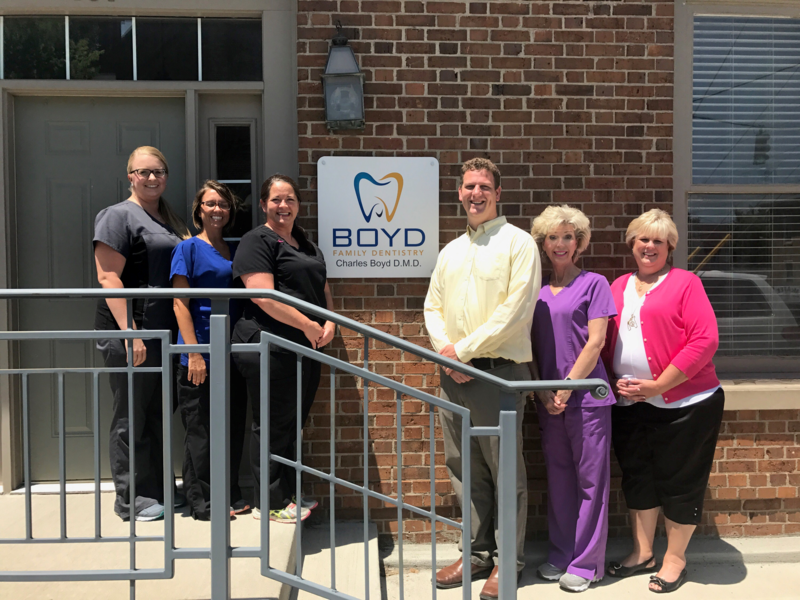 At Boyd Family Dentistry we take the time to get to know our patients before we ever take a look at their teeth. Understanding our patients’ priorities, concerns and interests is central in developing a treatment plan that meets their needs. At Boyd Family Dentistry we seek to provide personalized, quality care. Dr. Boyd takes the time to provide a thorough exam, explain treatment options to the patients, and provide high quality clinical care. You will never be sold a treatment you don’t need or rushed through an appointment. We measure our success in how your smile looks not just the day after your dental visit but ten years after treatment. For this reason we seek to build lasting relationships with our patients based on trust. Clinical procedures are completed with careful attention to precision. Full mouth rehabilitations and cosmetic smile reconstructions are always coupled with an emphasis on preventative care.